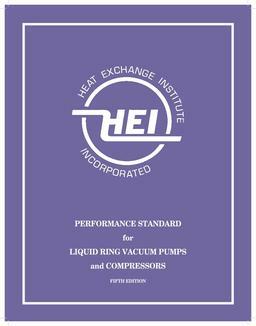 The first edition Standards for Air Cooled condensers has been developed by the Air Cooled Condenser Section of the Heat Exchange Institute, Inc. The technical information in these standards combines present industry standards, typical Purchaser requirements, and Manufacturer's experience. In addition, the standards outline the important design criteria for air cooled condensers. These standards provide practical information on nomenclature, dimensions, testing, and performance. use of the standard will ensure a minimum of misunderstanding between Manufacturer and Purchaser, and will assist in the proper selection of equipment best suited to the requirements of the application.